We invite you to ski with us once Mother Nature has covered us with a blanket of white. 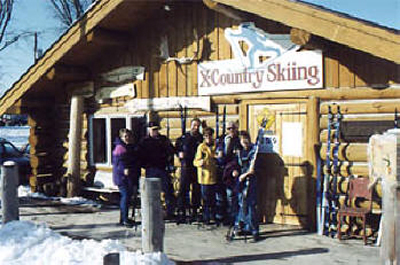 We have been skiing since 1986. 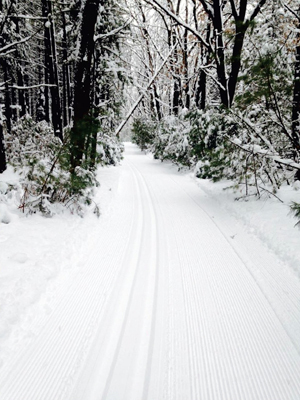 Ten miles of groomed and tracked trails and skating lanes await you. 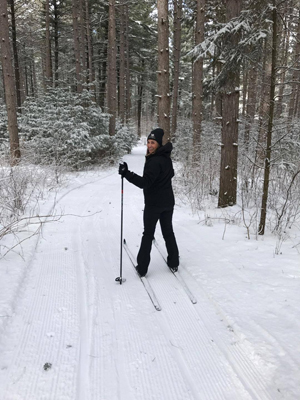 Ski through the stillness of red pines, hardwoods, and marshlands. 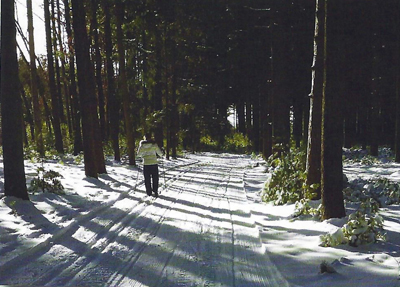 The terrain varies from flat to gently rolling for the novice, to some real “screamer” hills for advanced skiers. 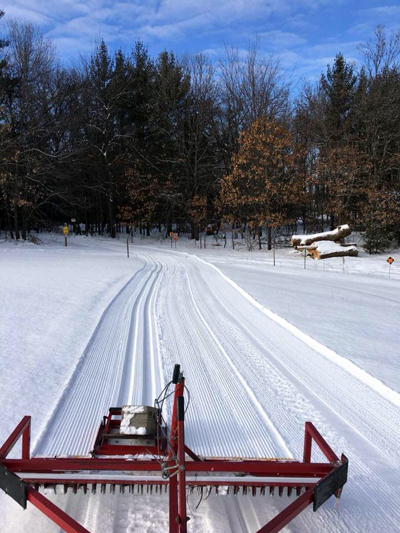 All trails are wide and expertly groomed. We are open seven days a week. 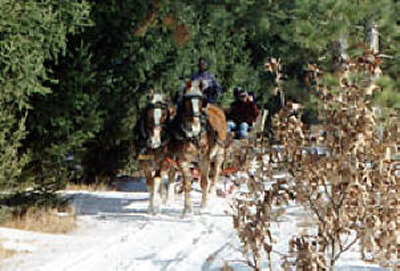 Ski rentals are available daily, and there is a trail fee. Take a break or finish up your day with a stop at the lodge. Relax in front of the fireplace and enjoy the cozy atmosphere. Hot refreshments and tastebud-satisfying food are available. 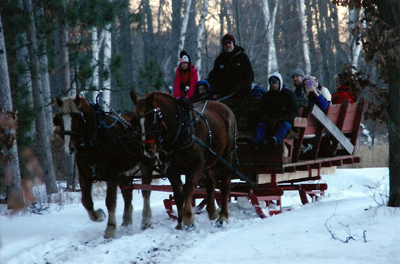 Don’t forget, our rustic cabins are located near the ski trails.